Hand Design sought the aquatic expertise of Counsilman-Hunsaker to develop and design a therapy pool for the Jonesboro Senior Center. The 1,500 sq. ft. salt-water therapy pool is equipped with saline chlorine generation system, and a hydraulic lift for disabled users, and handrails designed around the pool’s perimeter for ease of therapy and exercise sessions. 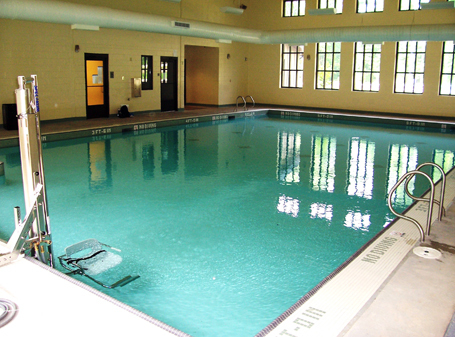 In addition to the valuable benefit of therapeutic sessions, the therapy pool is a venue for seniors to gather with friends for water aerobics, synchronized swimming, stretching and toning, as well as other wellness and fitness activities in the uplifting, light-filled natatorium.